TADHack Chicago has run every year since the first ever TADHack in June 2014, we started with one location, Madrid, and ended up adding four satellite locations as people wanted to join in the fun, so TADHack Global was born. Today we’re at over 30 locations around the world. The other locations with this distinction of continuous involvement since the start are TADHack Colombo (Sri Lanka) and TADHack Madrid. The Real-Time Communications (RTC) Lab at the Illinois Institute of Technology (IIT) is the driving force behind TADHack Chicago. In particular, a big thank you to Professor Carol Davids, Warren Bent, Tom Costello, and the rest of Carol’s team for their amazing support over the years. Carol Davids is the Director of the Real-Time Communications Lab at the Illinois Institute of Technology and an Industry Professor in IIT’s School of Applied Technology. She designed and built the Lab and its Real-Time and Telecommunications curriculum. She has initiated numerous research projects in the lab related to the application and development of standards that describe and measure the performance, inter-operability and characteristic behaviors of VoIP and Real-Time Communications systems. 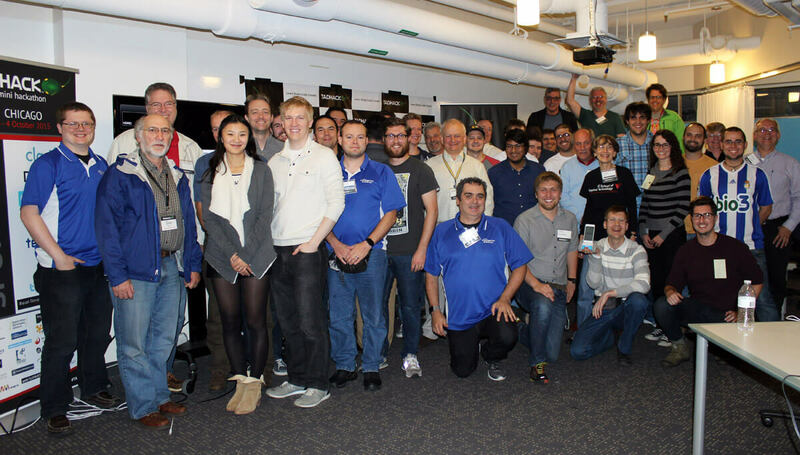 Carol and her team at IIT RTC Labs are founding supporters of TADHack, and run the IIT RTC Conference and Expo, a globally recognized collaborative event, where industry and academia connect. Leveraging its unique academic setting, this annual conference brings together technical professionals and business executives from the data and telecommunications industry, standards bodies, policy and regulatory institutions, and academic educators and researchers to promote an open exchange of ideas to lead future development in the rapidly changing field of real-time communications. 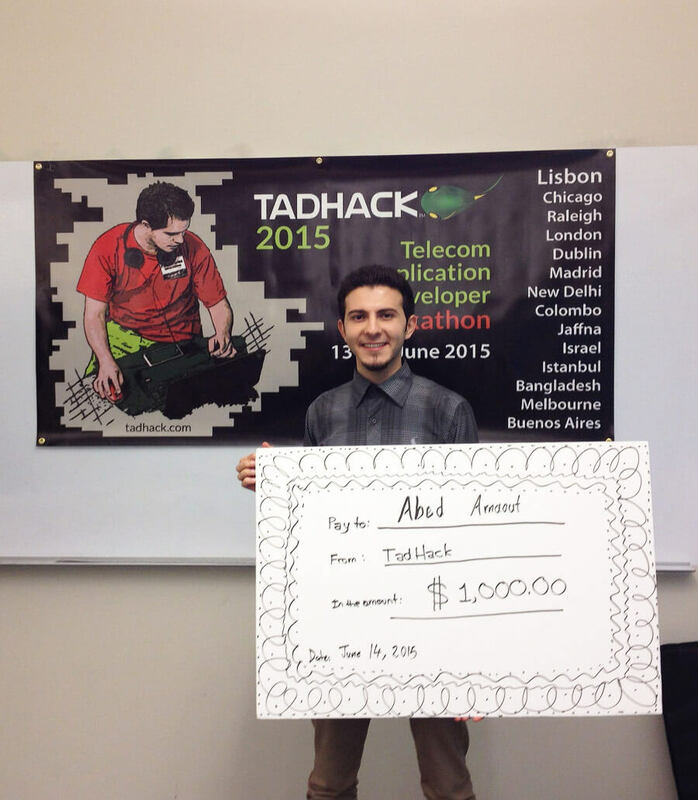 TADHack Global is the weekend before the Thirteenth Annual IIT RTC Conference on September 25-28. It will be an exciting week in Chicago, filled with lots of creativity and innovations in real-time communications. Hack ‘OhNoo’ by Alex Maties using resources from Tropo and Flowroute. Helping coworkers better respond to emergencies. He had an emergency at his work place on Wednesday before TADHack, thinking there must be a solution to such problems in a web search he discovered WebRTC that lead him to TADHack Chicago that weekend. Thinking this was providence he registered for TADHack Chicago and won! 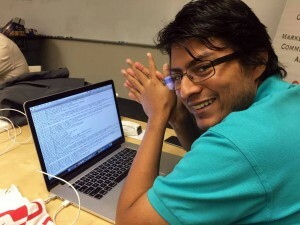 Team ‘Vivo’ of Nestor Bermudez and Arin Sime used Matrix, Tropo, and Telestax to create an Apple Watch app to notify loved ones when you are having a heart attack. The demo worked, and they provided the analysis of the massive potential from such an application. A great pitch and it couldn’t happen to a nicer team. You can read Arin’s weblog on their hack here. Hack: Grocery Go. Team: Bill Boyd, Sachi Shirasake, Ofra Orz, Rennell Garrett. Using Carrefour’s data for augmented reality and Telestax to create an enhanced customer shopping experience. 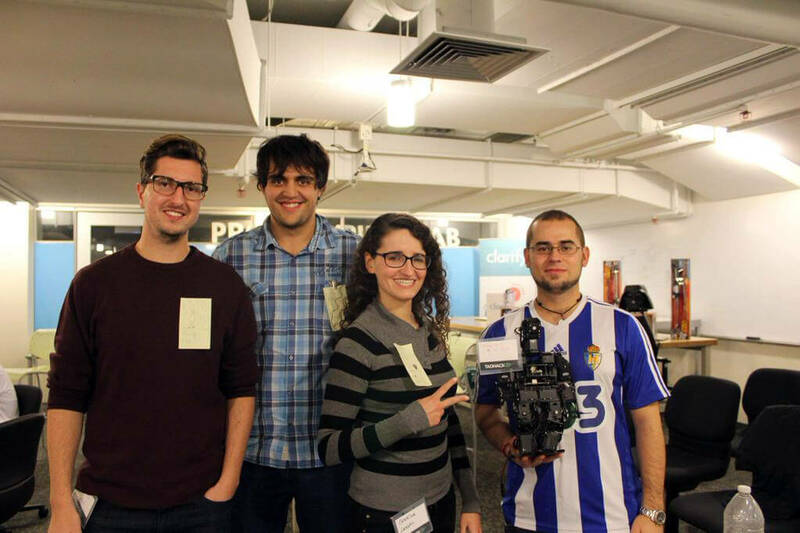 Team ‘ProbatioNerds’ of Adnan Baleh, Caterina Lazaro, Javier Garcia, Ernesto G. Grabwosky, Sergio Gil and Marion Le Callonnec share custody of the Trossen Robotics HROS1 Humanoid Endoskeleton using a Matrix Mobile app to control the robot over WiFi/Internet. The robot danced the Macarena, how cool is that! Hack ‘Samaritan’ by Charles Solar and Jiang Shuyang used Matrix and Flowroute resources, for a platform independent app which allows users to post requests for help “I got a flat tire!”” or “My computer crashed!” and allows others to call / text / video chat with them to solve their problem. Requests are based on a location are only broadcast to users in the same area, quick one click button for emergencies. This is our second husband and wife team to win a prize after Rent Reminder by Selin and Lee at TADHack Melbourne in June. We’re looking forward to TADHack Global 2017, and seeing the amazing hacks coming out of Chicago. 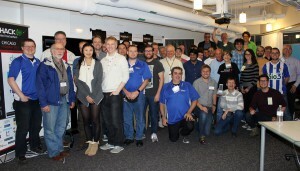 One of the aims of TADHack this year is to have a greater local community impact. We’re hoping to collaborate with Code for America, like we did at TADHack-mini Orlando with Code for Orlando earlier this year. To help focus the hacks on solving local community issues.